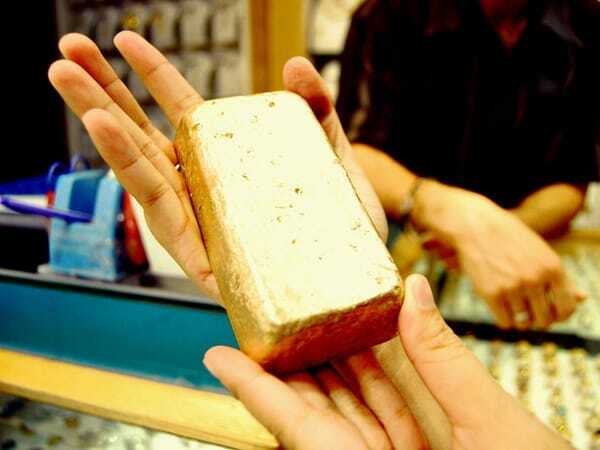 Home » Why is gold demand soaring? As gold prices have increased to begin 2016, so has demand for the yellow metal. Why are so many clamoring for it right now? Each week, Your News to Know brings you the most important news stories from the economy and the gold market. Today, stories include: Gold demand soars 21% in its strongest first quarter ever, hedge fund stars are backing gold, and why you should like gold, but not its miners. Recent data from the World Gold Council showed gold demand soaring at the start of 2016 to reach the strongest start to a year ever. Demand for the metal jumped 21% between January and March amid negative interest rates, low savings rates, a slowdown in global growth and uncertainty in the stock market. During this period, gold ETF inflows rose to a seven-year high as the price of gold jumped 17%, marking the metal’s best performance for a quarter in almost three decades. Driven by both central banks and personal investors, demand for the yellow metal was spread out somewhat evenly across the board: The U.S. led the way with a 55% jump in Q1 demand compared to a year earlier, followed by Europe (particularly from Germany). China wasn’t too far behind; the Asian nation saw a 5% increase in gold buying ahead of the Lunar New Year. India – China’s traditional rival in bullion demand – saw a slump in demand caused largely due to local difficulties, although Indian demand over the whole of 2016 is expected to rise by 10%. Gold’s impressive rise since the start of the year has attracted the attention of some notable hedge fund managers who are now increasing their allocation to gold, reports Anora Mahmudova of MarketWatch. Billionaire Stanley Druckenmiller, head of Duquesne Capital, is one of them: In a recent speech at the Sohn Conference, Druckenmiller said he is very bullish on gold and bearish on the stock market, citing his primary reason being the Fed’s loose monetary policy which created “reckless behavior” among corporations. Money manager Paul Singer also showed faith in the yellow metal, predicting that the current rally is merely the start of a rebound due to investors losing faith in central banks. And commodities investor Dennis Gartman is also turning to gold. In a recent talk with CNBC, Gartman said he’s becoming more bullish on gold as inflation picks up, adding that prices of commodities are on the rise due to central banks outside the U.S. buying bonds to stimulate their economies. Gartman also mentioned the metal’s role as a hedge against deflation, which will remain a threat as long as there is a possibility of the Fed holding rates at current levels or even going into negative territory. Some analysts, like CMC Markets’ Colin Cieszynski, also cited the dollar’s weakness as another reason for investors leaving equity funds: “The biggest reason behind the nice pop in gold prices is the fact that the U.S. dollar [index] peaked at 100 last December and climbed down to around 94-95,” said Cieszynski, adding that gold can rally further over the long term. In a recent piece on MarketWatch, Cody Willard warned readers of an important but oft-forgotten rule of investing in gold: Not all exposure is good exposure. Willard himself owns physical gold while avoiding mining stocks and ETFs, and urges Americans to do the same. His reasons are simple, yet no less powerful: The mining companies have amassed billions of dollars of debt due to gold staying too low for them to make a profit for too long. To him, mining stocks are simply too risky; should gold drop to $1,100 again, bullion would only be down 12% while he believes that stocks would plummet anywhere between 50-80%, with some miners even going bankrupt altogether. Willard’s argument against ETFs is similarly straightforward: These funds are another form of an IOU, and there’s no guarantee that ETFs can deliver all the gold they claim to hold to investors in the case of a crisis, thereby defeating the main purpose of investing into precious metals. For Willard, there is no substitute for coins and bars: They’re in your physical possession, they’re safe and they still have a good chance of netting you a decent profit over the coming years. For over 100 years, elites all over the world have tried to suppress gold as a form of money. How has gold maintained its prominence? Find out here.